When I first started writing back in my teen years, first person was my go-to tense. It wasn’t until a few years ago that I started experimenting in 3rd person, and realized that it not only offered a different flavor to my overall work, but also pushed me to write even better. As writers, we have to constantly challenge ourselves to be better. Whether that includes writing a genre we’re unfamiliar with, or writing in a different tense, changing things up is extremely important. Experimenting is often key when writing, and today’s link of the day shows five ways that you can change up your writing style and tackle the unknown, and maybe even become a better writer in the process. So, check out the link above and challenge your creativity today! And, let us know in the comment section below how you have changed up your own writing, and how it has benefited you as a writer. 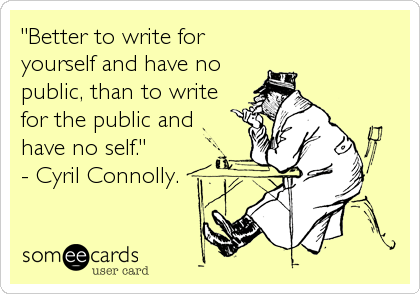 Happy Wednesday All and Keep On Writing! Posted in Links of the Day, Writing and tagged 5 ways to try a new writing style, article, becoming a better writer, challenge your writing style, daily link, Huff Post Books, Huff Post Books link, link, link of the day, links, news, opinion, photos, photos link, The Huffington Post, the world, Wednesday link, Wednesday link of the day, writing, writing article, writing link. Bookmark the permalink. When writers are not writing, they’re looking for inspiration. Inspiration is key to pen that perfect manuscript, and many times a writer’s inspiration comes from other writers. As an aspiring writer myself, I feel 100 times more motivated when I hear success stories and advice from fellow writers. I don’t know if it’s the awe or envy of another writer’s success that forces me to writer harder and better, but whatever it is, it works. So, check out the video above and hear some inspiring advice from author, John Hodgman. And, after that, check out the link to find more motivation from other famous and successful writers. Happy Tuesday All & Keep Writing! Posted in Links of the Day, Writing and tagged article, daily article, daily link, flavorwire, flavorwire book, flavorwire books link, flavorwire link, Flavorwire writing link, flavorwire.com, flavorwire.com link, inspiration to writers, John Hodgman, link, link of the day, links, news, opinion, the world, Tuesday article link, Tuesday link, write what you know, writing, writing advice, writing link. Bookmark the permalink. Posted in Quotes, Writing and tagged Cyril Connolly, Cyril Connolly quote, daily quote, experience quote, inspiration, inspiring, inspiring quote, life, life quote, motivational, motivational quote, photo, photo quote, quote, quote of the day, quotes, someecards, someecards quote, someecards.com, the universe, the universe quote, the world, thought provoking, thought provoking quote, Tuesday, Tuesday quote, writing, writing quote. Bookmark the permalink. I’m a die-hard non-fiction fan, and I feel extra inspired when reading the motivational true-life stories of fellow women. It’s true that male writers outnumber female authors, especially in the non-fiction world, but these driven and powerful female writers show us that gender is not an obstacle when it comes to amazing and moving writing. Check out the link of the day, and definitely check out these essays by some of the most influential women in the literary world. Posted in Books, Links of the Day, Writing and tagged 17 essays by female writers, article, books, books link, daily article, daily link, female writers, flavorwire, flavorwire book, flavorwire books link, flavorwire link, flavorwire.com, flavorwire.com link, link, link of the day, links, news, non-fiction essays, opinion, the world, Wednesday article, Wednesday article link. Bookmark the permalink. Every writer dreams of locking themselves away and blocking out the daily distractions so they only have time for one thing…to write. Whether it’s somewhere in the mountains, by the beach, or in the woods, and even if it’s just for a weekend or longer, a writing retreat may be just what some of us writers need to start, finish, or edit our novels (I know I sure need one!). The weekend is coming up, so check out the link above and see how you can take your very own writer’s retreat. Posted in Links of the Day, Writing and tagged a writer's getaway, article, article link, daily link, do you need a writer's retreat?, Huff Post Books, Huff Post Books link, link, link of the day, links, news, opinion, photos, The Huffington Post, the world, Thursday link, Thursday link of the day, writer's retreat, writing, writing article, writing article link, writing link. Bookmark the permalink. I have an entire bookshelf containing my 10+ journals, all of which I have kept throughout my 22 years of life. Journaling is a way for me to relax, to cope, and to explore my feelings, hopes, and dreams through my favorite form of expression: writing. 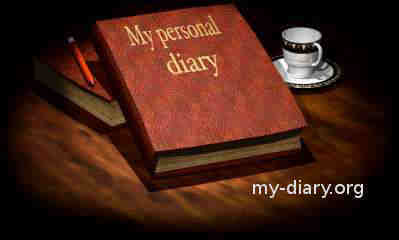 However, over the past couple of years, I have been falling behind in keeping up with my diaries. I don’t know if it’s life getting in the way, or that I have neglected it so much that the task of writing more than five months (which is how much time has gone unwritten at the moment) is too daunting for me to even think about attempting, but it pains me how I’ve let my journaling take the back burner. Thus, I am so happy I have found this post. Journaling is important for any writer, and hearing the importance of keeping a diary by some of these famous authors has re-inspired me to put pen to paper, and reenter the world of my written life. So, whether you keep a journal or not, check out the link above! Do you keep a journal? If so, why is keeping a journal important for you? Posted in Links of the Day, Writing and tagged 10 famous authors on the importance of keeping a journal, article, authors and why to keep a journal, C.S. Lewis, daily article, daily link, David Sedaris, flavorwire, flavorwire books, flavorwire books link, flavorwire link, flavorwire.com, flavorwire.com link, Franz Kafka, keeping a diary, keeping a journal, link, link of the day, links, news, opinion, Ray Bradbury, the importance of keeping a journal, the world, Tuesday link, Tuesday link of the day, Virginia Woolf, why keeping a journal is important, writing, writing article, writing link. Bookmark the permalink. I would like to issue a formal apology to all of Palm Trees & Bare Feet subscribers and followers. I realize that I have not been taking my blogging duties very seriously the last couple of months, especially this month of November. The previous months I have no excuse to why I did not blog regularly, and I am sorry for that. 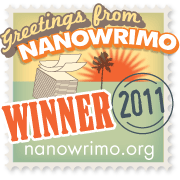 However, this month, I do have a semi-legit reason for forgoing my blog: I participated in National Novel Writing Month. For all of you who do know NaNo, it is a grueling, time consuming, brain-jumbling month of writing, writing, and more writing. Between the hectic days and long, sleepless nights, you barely have time to keep up with family, friends, and housework, let alone blogging. But, I am pleased to say that it did not go in vain. Last night, after pulling a literal all-nighter, I was able to fill the 9,000+ word gap I was missing, and I finally and officially reached the NaNo word goal of 50,000 words! 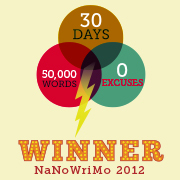 I have completed NaNoWriMo 2012, and essentially won the honor of saying that I completed a novel! 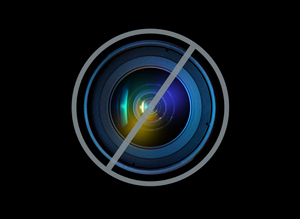 So, as I ecstatically celebrate this weekend, and move on with my life – until next November that is – I am making a promise to both myself and to you, my followers, that starting Monday, December 3rd, I will be back to blogging like the old days. While I will be forgoing the Question of the Day I used to do, you will still be getting the usual Quote of the Day and Link of the Day, and I will be sure to add in another fun, interactive daily meme. I will also write more articles, more book and movie reviews, and will make sure that my blog is kept up! So, with that said, I have created a poll below, and I ask you all to fill it out and tell me what you would like to see more of on Palm Trees & Bare Feet. So, once again I apologize for my lack of blogging, but would also like to celebrate my NaNo win, and all the other wins my fellow writers achieved as well! Happy Friday All and Hasta Lunes! Posted in National Novel Writing Month (NaNoWriMo), Random, Writing and tagged apology, blog, blogging, Friday, Friday post, images, interactive poll, NaNo, NaNo 2012, NaNo Winner, NaNo winner badge, NaNoWriMo, NaNoWriMo 2012, NaNoWriMo winner, National Novel Writing Month, National Novel Writing Month 2012, November, November 2012, palm trees & bare feet, poll, survey, survey questions, writing. Bookmark the permalink.